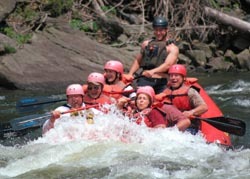 Whitewater rafting excursion on the Big Pigeon River for 2 people. A Romantic Sunset Cruise every day. 2 days and 2 nights.